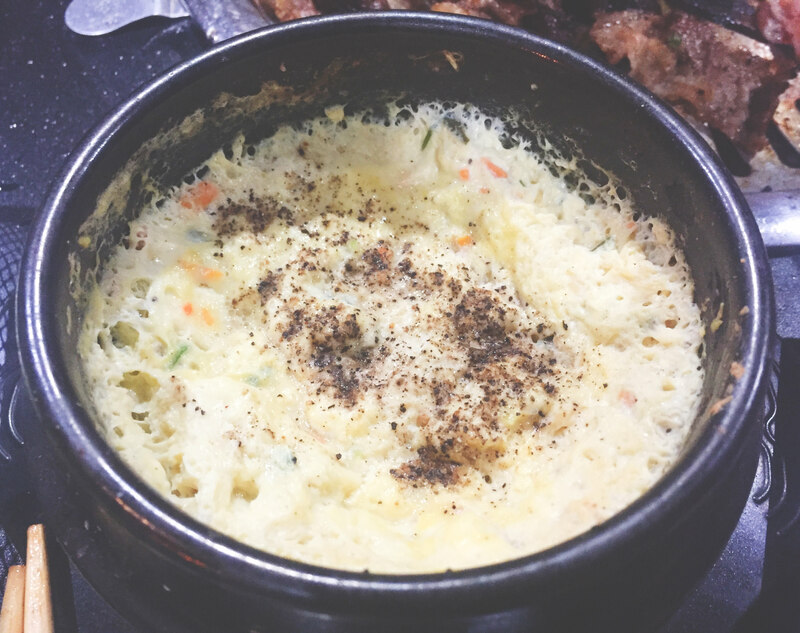 Samgyupsalamat brings the taste of Korea to the local food scene in an attention-grabbing fashion – that is to offer unlimited Korean barbecue at an affordable price. 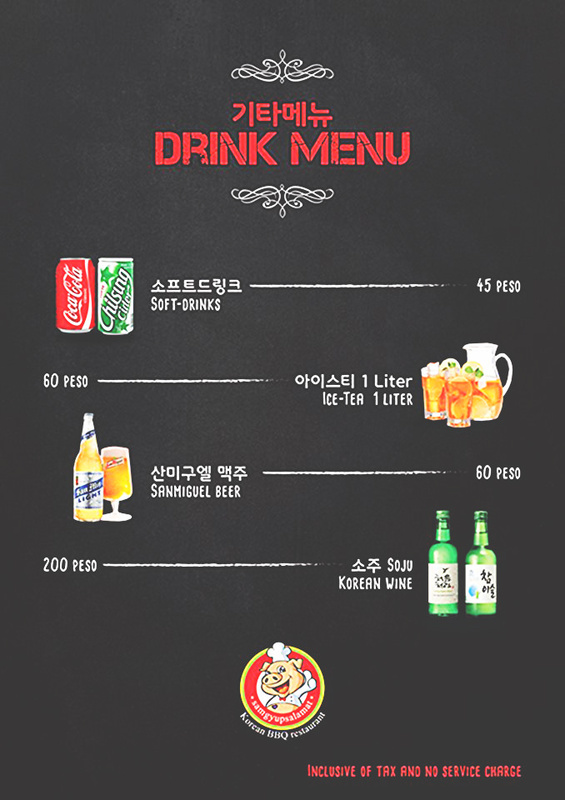 There is something about Koreans that Pinoys definitely love. In fact, a visit to Korea is aspirational and in most Filipino travelers’ bucket list. 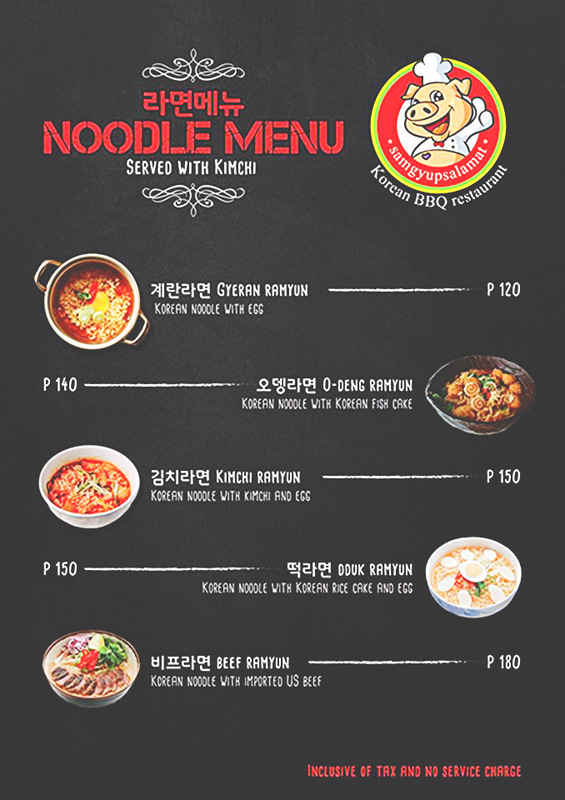 Maybe it’s their amusing TV series or their good-looking stars but whatever it is, Filipinos would patronize almost anything that has to do with Korea, including their food. 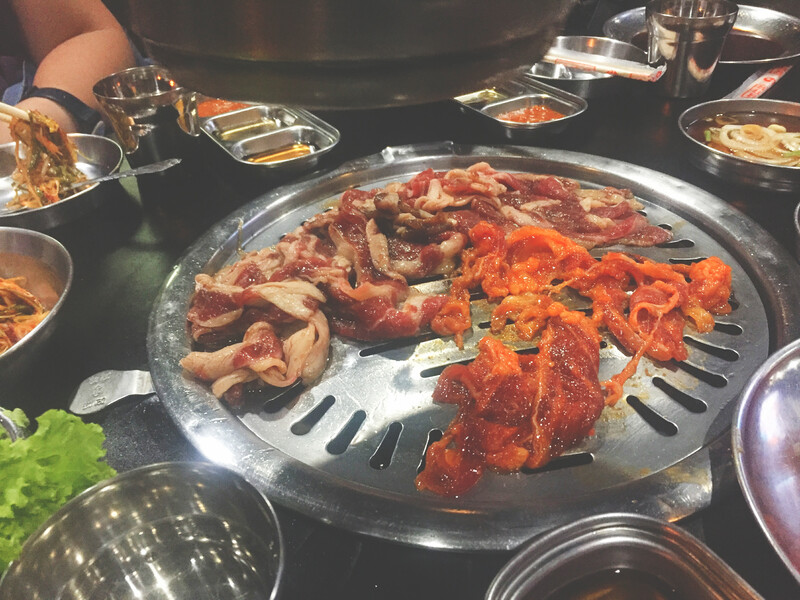 When it comes to the aspect of food, Samgyupsalamat definitely does a good job in satisfying the Pinoy palate with Korean flavors. Samgyupsalamat’s name is a fusion of the words “Samgyupsal” which is Korean for Pork Belly and “Salamat” which is “Thank you” in Filipino. We tried their outlet in Metropolitan Avenue. Set in a quiet and unassuming corner, you would not readily notice this restaurant unless you are really looking for it. 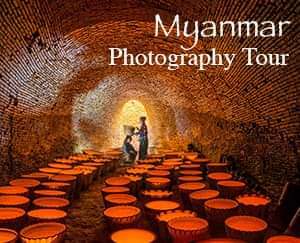 The place is small so expect long lines if you go here beyond 7:00 PM. By the way, they do not accept reservations so it’s best to come here early. 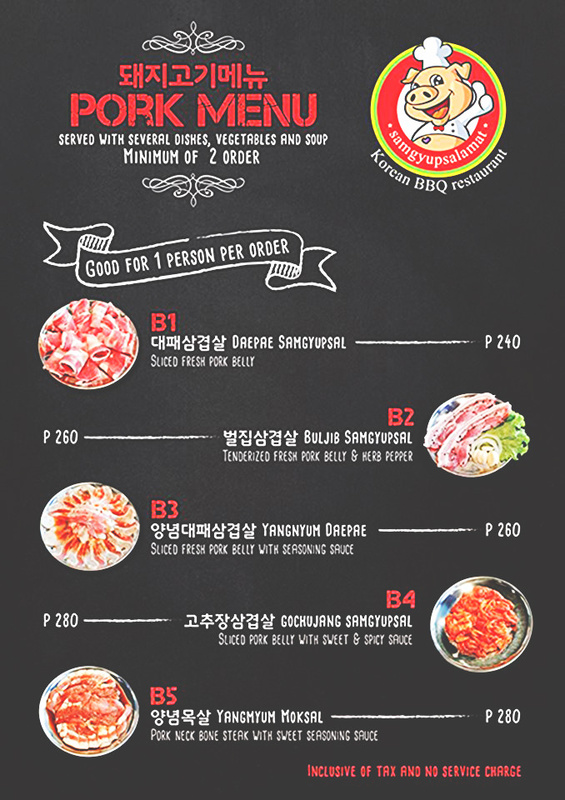 Samgyupsalamat serves unlimited lunch from 11:00 AM to 3:00 PM and unlimited dinner from 3:00 PM to 2:00 AM. The tables are fitted with a grill and exhaust. It’s not an air-conditioned restaurant so that smoke, which is actually minimal, would not linger inside. 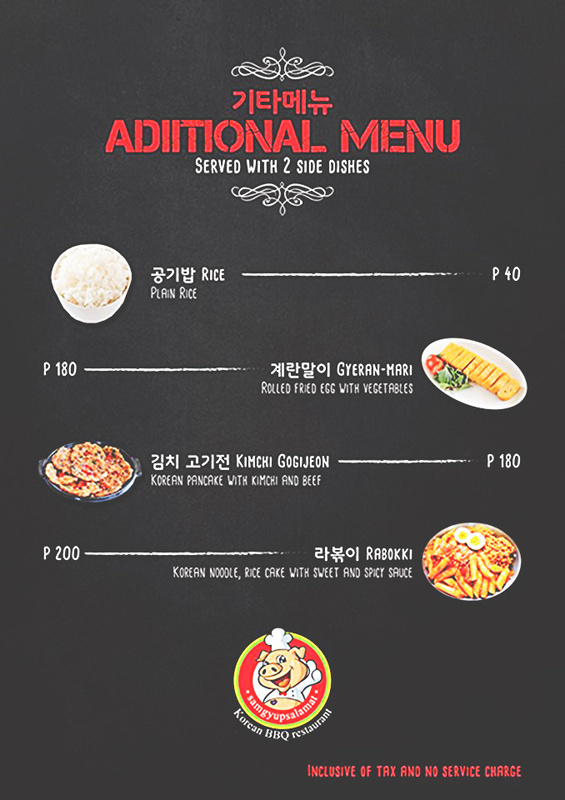 We ordered the Unlimited 2 menu (Php499 per head). 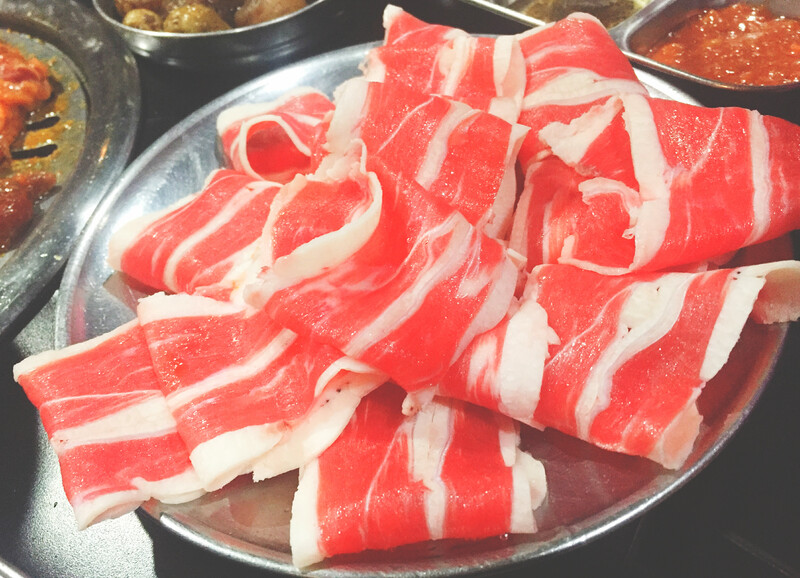 This is composed of nine kinds of pork and beef. You may try everything and as much as you can, just don’t leave any unconsumed food on your plate. On our table were lettuce leaves for wrapping the grilled meats, various vegetable side dishes like kimchi, pickled white onions, and baby potatoes. 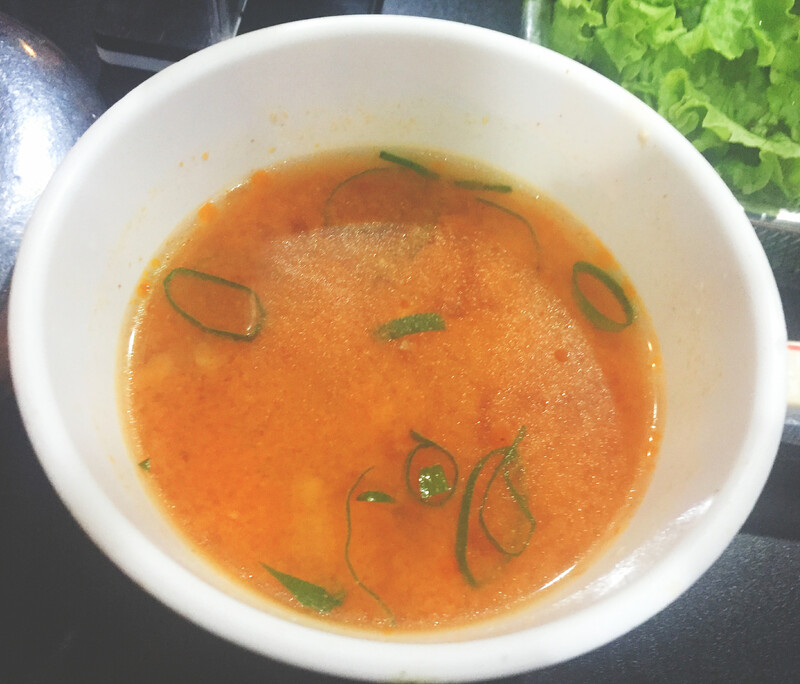 You may also ask for soup, rice, and steamed eggs, which are all unlimited. Drinks are ordered separately. 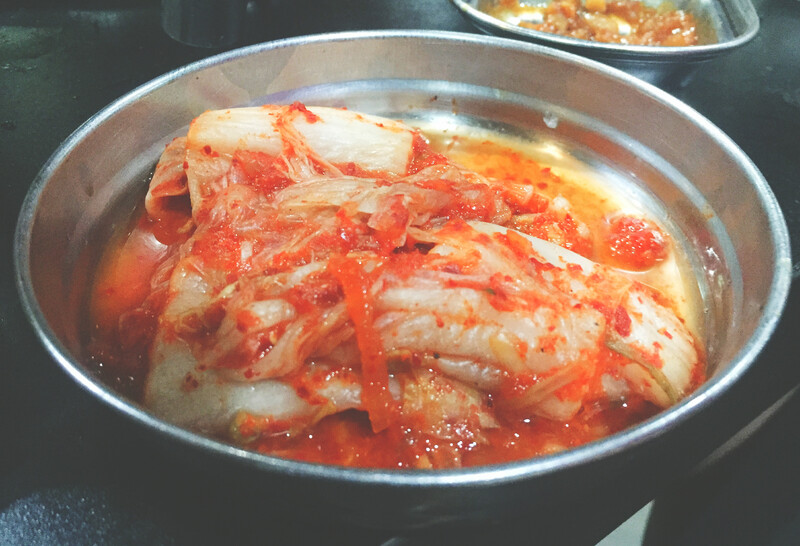 We tried all expect for the Yangnyum Moksal because the slices are thicker, so cooking time would be much longer. 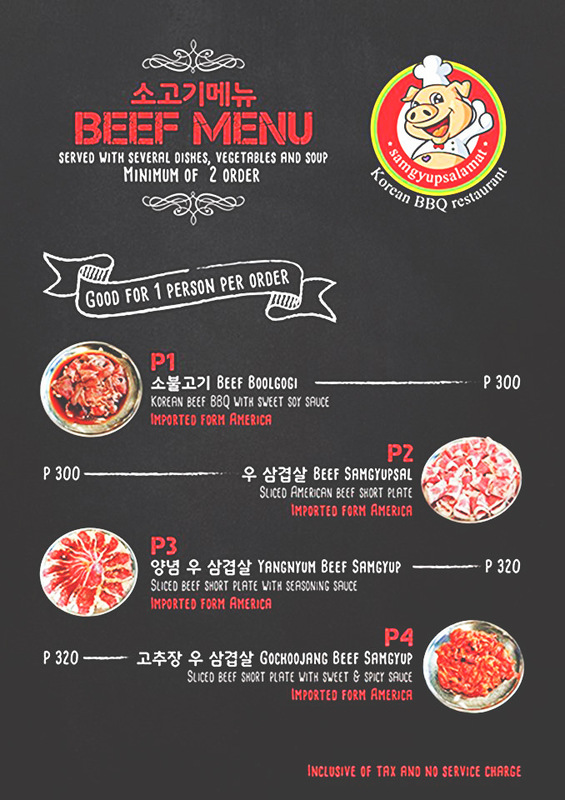 Our favorites are the Beef Samgyupsal, Daepae Samgyupsal, and Beef Bulgogi. The thin slices of meat absorbed the marinades really well and cooked evenly. We liked our barbecued meats a little toasted. The slight crunch and the deep flavors went well with the freshly-crisp lettuce leaves that provided a refreshing break from the rich meats in between bites. 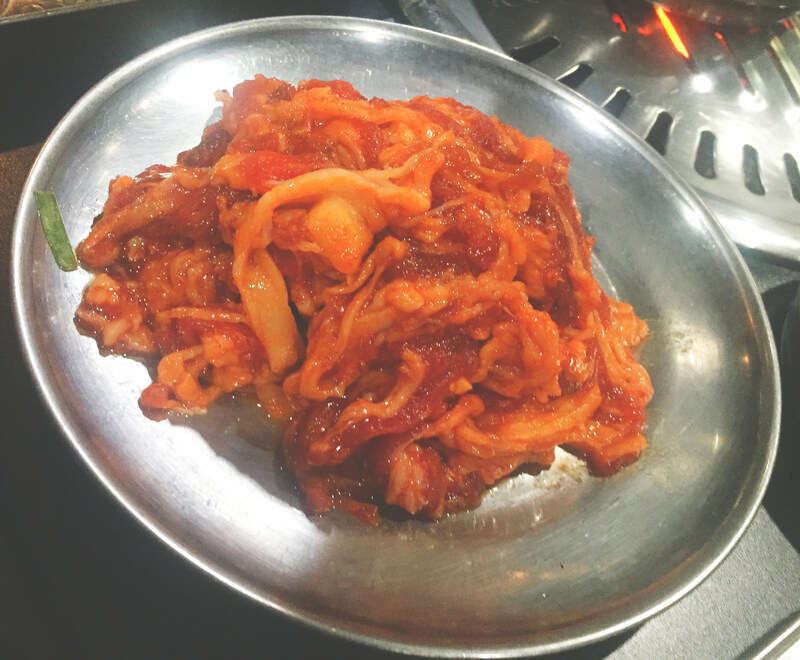 What is commendable about Samsgyupsalamt is their service. The waiters were all very attentive. When they see plates that are already empty, they would readily approach us and ask us what we wanted to try next. There was no need to call them twice or even shout just for them to take our orders. Even though there was already a long queue of diners outside, we did not feel that we were being rushed to finish our meal throughout our stay. That, I think, elevated our dining experience at Samgyupsalamat to beyond pleasant. In terms of price, the Php499 per head is definitely worth it.